Recently Southern Accents has been in the process of salvaging an 1870’s house. Stored in the attic were boxes of scrap fabrics along with several old quilts, each one meticulously stitched by hand. The quilts remind me of the quilts my grandmother use to make. I can still remember the large wooden quilting frame that was secured safely to her ceiling. Once she had stitched all of the small fabric scraps, fashioning them in to one large piece,the frame was lowered. The quilt top and bottom were secured and tightly stretched across the wood frame. She would then begin the tedious task of quilting the pieces together. Most of her quilts did not contain fancy or intricate patterns nor were they made with perfectly coordinating fabrics. They were scrap quilts constructed from fabrics that had been used to make clothing for her family. Those quilts, although not considered very pretty, served their purpose… they made me feel warm and secure on many a cold night. Looking at the tattered quilts I realize that the efforts of my grandmother were gifts from the heart. Each piece of fabric held a sweet memory, each stitch carefully made with love. I have no doubt that she prayed over each child, grandchild, family member and friends as she sat, needle and thread in hand, fabrics laid across her lap. These quilts serve as a reminder of why we at Southern Accents do what we do. Working to rescue, restore and protect items of historical significance is a gift from our hearts. It is one way that we can help to preserve our history, so that it may continue to serve as a reminder of the things that are truly important in life. It’s not the gifts purchased, wrapped and placed under the tree. It is time spent and attention given to family and friends. It is hard work, sacrifices made, acts of kindness shown to those in need. During this Christmas season our wish is that you may experience a gift from the heart, either given or received. 2013 has been a year rich with blessings. We are thankful for you, our customers. You allow us to continue doing what we truly love. We look forward to a new year and all that it has to offer. Merry Christmas from the Southern Accents Team! After reading this blog post, Jane-Ann Heitmueller shared her beautiful poem with us. It fit so perfectly with our story that we wanted to share. Enjoy! deep in her bag of remnants from our families’ work and play. from Grandpa’s tattered overalls, to Aunt Sue’s flowered drapes. the satin dress my mama wore to her first high school dance. Saved were old worn out tablecloths and faded aprons, too. That scrap bag held a rainbow filled with yellow, green and blue. as Grandma cut and placed and stitched each precious fabric part. determined to complete her task by Christmas morn so bright. Grandma’s heartfelt and special way to show her love and care. One of the first tasks that Garlan Gudger, Jr. tackled upon returning to Cullman, Alabama in 1999 to take over the family business was to hire his very first employee. 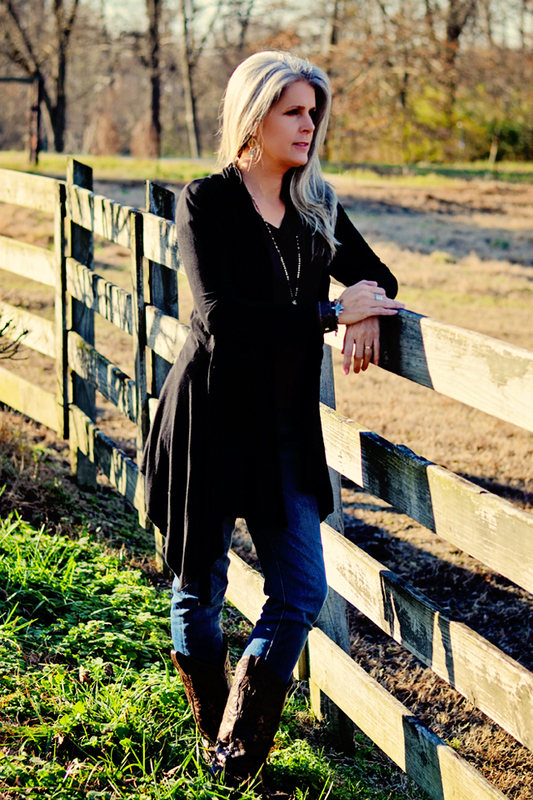 As a young businessman, Garlan recognized the need for Southern Accents to have a presence on the world wide web, so he hired a webmaster, Lisa Jones, to put them there. Lisa accepted the challenge, all the while wondering how in the world did this young college grad think he was going to be able to sell architectural antiques online? Fourteen years later, Garlan’s vision, coupled with the tenacity of a then stay-at-home Mom, have introduced this humble architectural salvage business to the world. As the website continued to grow, a majority of sales were to customers viewing the inventory online and calling or driving in from out of town to make a purchase. Two years ago, Garlan recognized the ever expanding role of social media and the need to be able to better communicate with the growing customer base that reached well beyond the borders of his quaint community. He knew that the time had come to further expand Southern Accents online presence and that the person who could help him do that was sitting at her computer a few short miles down the road! 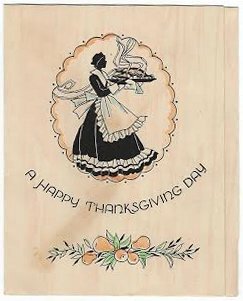 Thanksgiving card postmarked November 23, 1936. The stamp cost 3 cents! This past week found Southern Accents salvaging a late 1800’s house in Cullman County. The attic of this house was filled with fabric scraps and quilting pieces. There were boxes of books, letters, and receipts, family pictures and a few pieces of costume jewelry. Cluttered piles of knick-knacks and remnants of someone’s life lay scattered about. Sorting through the boxes and peeking at some of the cards and letters within, we began to notice a recurring theme. The theme was one of giving thanks. Most of the letters are dated in the 1930’s, all handwritten on small pieces of yellowing, aged paper. None of the letters are lengthy, just notes from relatives and friends, some who live out of town. Most letters start something like this, “The first thing I want to do is to thank you for the nice pictures…” or “thank you for the beautiful Christmas card…” or “thank you for the cake you sent…” There is an acknowledgement of and thank you for an act of kindness in almost every letter. The letters then go on to talk about family, hard work and hard times. During this holiday season we would like to take this opportunity to stop and say a heart felt “THANK YOU.” Thank you to family and friends throughout our wonderful community for your continued support. We would not want to live anywhere other than Cullman, Alabama. We also want to extend a huge THANK YOU to our loyal customers. We are passionate about what we do. It is through your continued support and patronage that we are allowed to continue our quest to salvage, restore, and re-purpose architectural elements of historical significance. We would also like to say thank you to our incredible, hard working, talented Southern Accents team. To each and every one of you… we wish you a very happy and joyful holiday season! 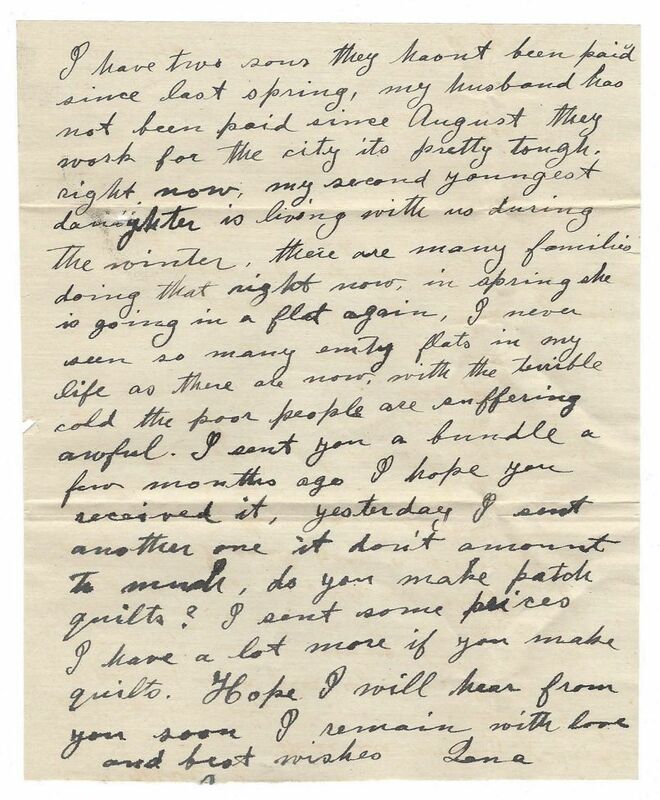 This letter dated December 14, 1932 was sent from Chicago, Illinois to Cullman, Alabama. 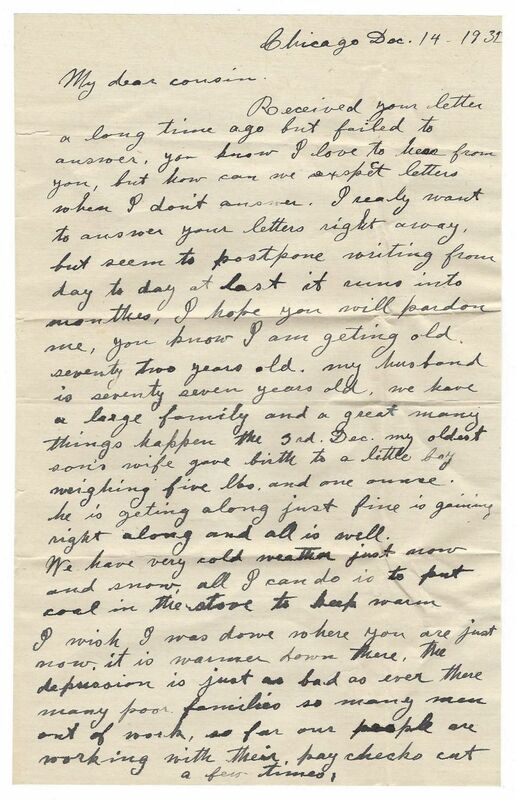 The second page of this letter speaks of hard times and fabric bundles sent for quilts.